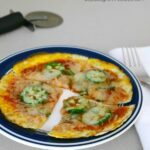 This low carb pizza omelet only requires four ingredients, and you can add extra toppings! 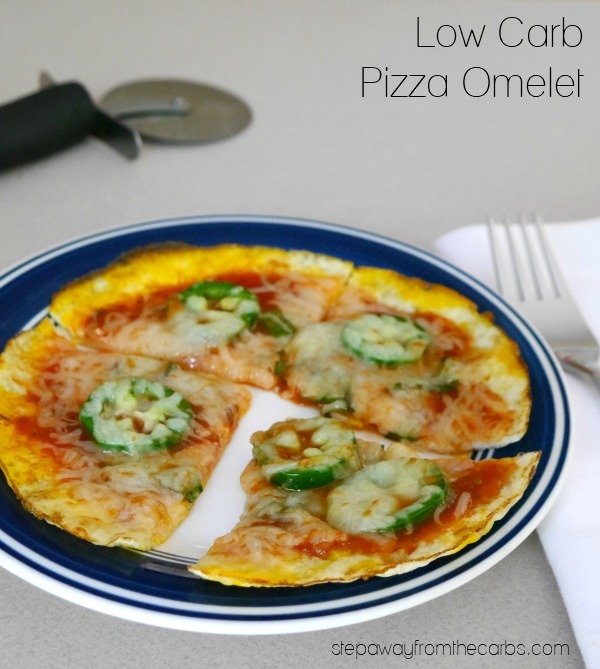 These pizza omelets are the ideal low carb lunch! 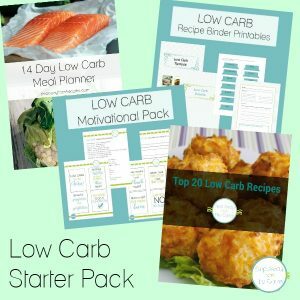 It’s quick to make, doesn’t need many ingredients, and you can add all kinds of toppings – depending on what you have available! Unless you get a production line going, these pizza omelets aren’t the most convenient recipe to make in large quantities. 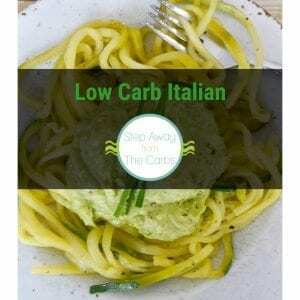 So I’ve given details for making just one serving, although I usually mix up a large batch of the seasoned tomato sauce (using a small 8oz can) and use it for more low carb pizza omelets or for other cooking purposes. Warm a small 8″ non-stick pan then pour in a beaten egg. Swirl it around so that it covers the base of the pan. This is very similar to my egg wrap recipe – but this takes it one step further! Once the base is cooked, flip it over and continue to cook the other side – it won’t take long! Once cooked, slide it onto a baking sheet (or you could keep it in the skillet if it is oven-safe) and start loading up the toppings . Mix together canned tomato sauce (not ketchup) and Italian seasoning, then spread it over the omelet base. 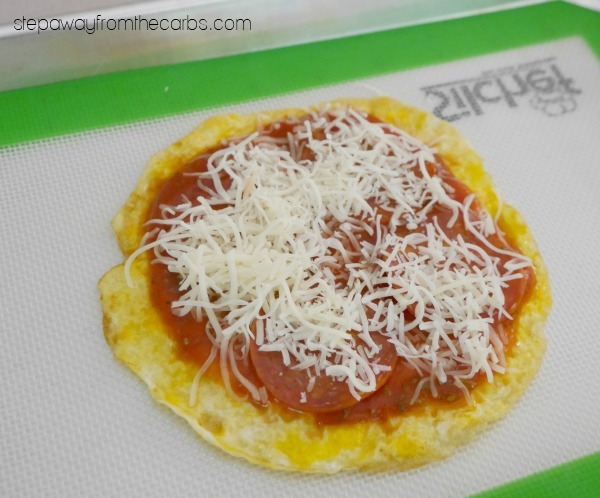 Add any low carb toppings that you like (shown below is pepperoni), then cover everything with shredded cheese. Place under a preheated broiler until the cheese has melted and the edges of the egg base are golden brown. Serve and enjoy! The pizza omelet shown below is with added fresh jalapeño and basil leaves! Warm a small 8" non-stick pan then pour in a beaten egg. Swirl it around so that it covers the base of the pan. Once the base is cooked, flip it over and continue to cook the other side. 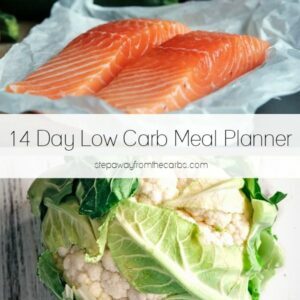 Once cooked, slide it onto a baking sheet and start loading up the toppings. Mix together the tomato sauce and Italian seasoning, then spread it over the omelet base. 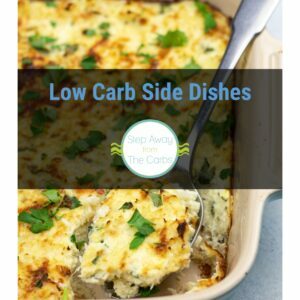 Add any low carb toppings that you like, then cover everything with the cheese. Place under a preheated broiler until the cheese has melted and the edges of the egg base are golden brown. 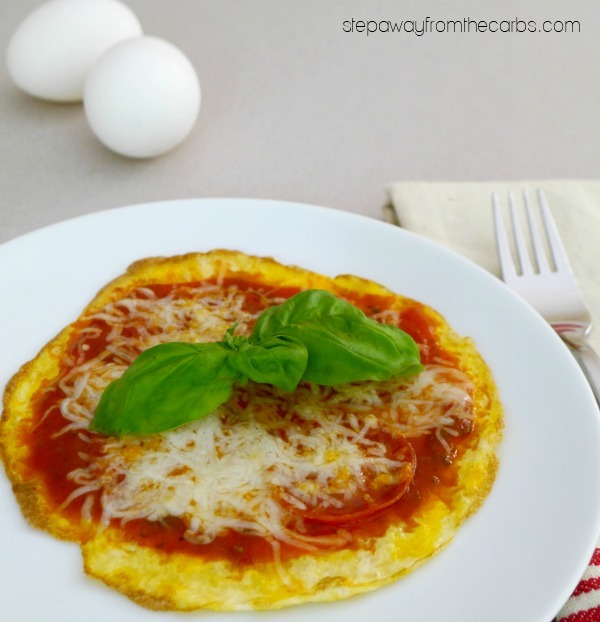 I made some of these pizza omelets this morning and they were so-o-o-o-o good! 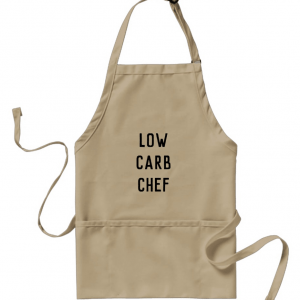 Very easy to make, too! I only had pepperoni and mozzarella cheese for the toppings, but it tasted very yummy. I used about 2 tsp of bottled pizza sauce from Dollar Tree (Francesco Rinaldi brand) that has no added sugar in it on each pizza. Thank you for this idea. I needed another tasty way to make eggs for breakfast, and this really hit the spot!! Yay! I’m so glad you liked them! Thanks for taking the time to let me know!